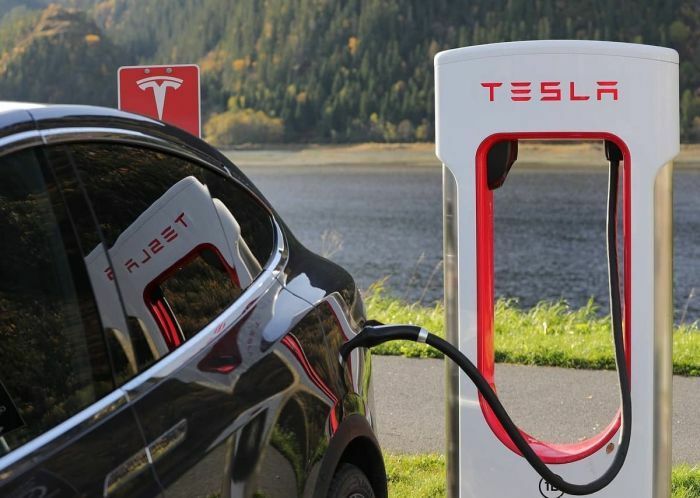 A lawsuit has been filed against the Tesla car company in January in the New Jersey Superior Court under the Conscientious Employee Protection Act. It claims that Tesla knowingly sold defective cars to consumers. Tesla denies the claim. The man who filed the lawsuit, Adam Williams, is a former Tesla employee. He worked as regional manager in New Jersey since 2011. He claims that he observed how the company would knowingly sell defective vehicles to customers without properly disclosing the vehicles’ faults. The company would instead, according to Williams, sell the cars as used or demo/loaner vehicles. He reported this in 2016 and 2017 to his supervisors. Every time he would see this occurring, he would report it to his supervisor, Tesla’s East Coast Regional Manager Lenny Peake, and a company vice president, Jerome Guillen. After this, he says, he was demoted several times, once to service manager of Tesla’s Springfield, New Jersey store, and once to being a mobile manager, and then he was eventually fired. Williams says that he should be covered by the Conscientious Employee Protection Act (CEPA), which is also referred to as a whistleblower act. This is an act put into place in New Jersey which would protect employees who reported or refused to participate in a company’s illegal practices from retaliation by their employers. The issue was tweeted and widely discussed. 1) sells vehicles that it KNOWS are "lemons"
In the lawsuit, it clearly states that, “Mr. Williams was aware of a practice of Defendants involving receiving vehicles designated as “lemons” and, with this knowledge, reselling these vehicles without branding the titles of these vehicles or offering disclosure, rather representing the cars as “used” or a “demo/loaner.”” The lawsuit also states that Williams was protected by the CEPA. Apparently, according to Williams, the problems that the vehicles would have were serious ones which would cost customers a lot of money to repair. This is not the first time that Tesla has gotten into legal trouble with regards to the issue of them supposedly selling defective vehicles. A Model X owner complained in 2016 of problems with his vehicle’s doors and software and thus, a lawsuit was settled. It will be interesting to see the outcome of this case. Do you think that Tesla is at fault here, and Williams had a reasonable case to file a lawsuit? Do you think that Williams was unreasonably fired? What do you think will be the outcome? Let us know your thoughts in the comments. Any legal expertise is welcomed. Reference: Scribd: williams vs Tesla, The Verge, Reddit. Williams vs Tesla looks like a pretty standard CEPA case. It will be interesting to see if any of the conduct described is actually illegal (though I believe the protections attach as soon as the reporter has a reasonable belief). Repairing pre-sale damage isn't, to my knowledge, illegal. As to selling know "lemons," I don't even know what that means. "Mr. Williams reasonably believed this practice to be illegal and/or fraudulent." Then... "...was aware of a practice of Defendants involving receiving vehicles designated as "lemons" and, with this knowledge, reselling these vehicles without branding the titles of these vehicles or offering disclosure, rather representing the cars as "used" or a "demo/loaner."" Pretty sure that Lemon law is a state-by-state variance, and just because an item is labeled as a 'lemon' doesn't mean that it can't be resold; it just has to be accepted as a viable return (minus being impacted by standard return windows) to the manufacturer. Offering it as a "Used" vehicle holds no legal water here, and them using it as a Loaner is...totally within their rights. Quite a straw-grabbing case. Additionally, please note the verbiage here indicates that Tesla "fixed" issues before delivery of the vehicle, and that this is an 'opinion' of Mr. Williams to be deceptive business practice. This case will be thrown out, I have no doubt. There isn't a single manufacturer that doesn't do this. Not only cars, but technology hardware, and SAAS as well. I don't think it will be thrown out before discovery. The plaintiff is claiming that they were demoted and then fired because they blew the whistle about an activity that they reasonably believed to be illegal. They will have to prove that (1) they had a reasonable belief that the activity was against the law or other such rules, (2) that they blew the whistle on the activity, (3) that they were demoted and fired, and (4) that the reason for the demotion and/or firing was causally related to the whistle-blowing. Given that to dismiss the case prior to discovery requires that the defendants demonstrate that even if the facts as stated were true that there would not be a case to answer, I think that this will go to discovery (or more likely that Tesla will just settle out of court). I am slightly confused as I would have thought that Tesla would have an arbitration clause in the employee agreement though and the document is suggesting a jury trial. Disclaimer: IANAL. I am not a New Jerseyan or even American (I'm Australian). My only legal qualification is that I listen to the excellent Opening Arguments podcast when driving to work. As such everything I wrote could be completely wrong. None of us have enough info to answer one way or the other. But I will say that at least recently, Tesla has been very forthcoming about even the most minor issues for the model threes they are delivering. For example, I have heard of several people who are called and told that their car received minor paint damage during shipment. Tesla said they would fix the issue, but they also allow people to decline and get an entirely new car. This is the type of thing that could have easily been covered up and not reported if they wanted to. I simply had to appreciate you again. I am not sure the things I might have sorted out in the absence of those smart ideas shared by you regarding my topic. It previously was a daunting crisis in my opinion, but noticing the professional way you treated that made me to weep over delight. I'm thankful for your work and in addition wish you recognize what a great job you happen to be doing teaching men and women all through your blog post. I am sure you have never met any of us. I have to convey my gratitude for your kind-heartedness in support of people that require guidance on this important subject matter. Your special commitment to getting the solution all through had been extremely helpful and has frequently encouraged ladies like me to realize their targets. Your amazing useful publication means a great deal to me and a whole lot more to my mates. Best wishes; from each one of us.